Unfortunately one of our invited layouts, Kingsmere (L82), had to withdraw at fairly short notice due to illness. 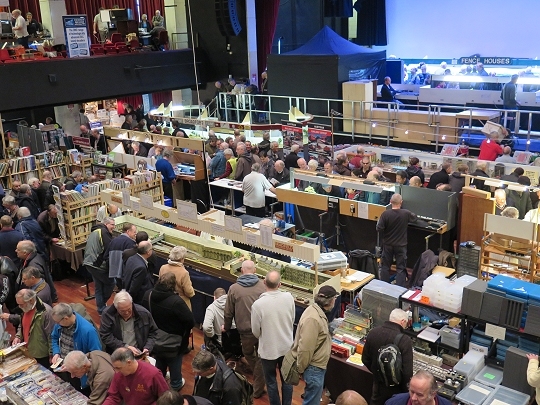 We would like to thank Maurice Hopper for filling the space with a display of his various ongoing projects in P87, S Scale and 2mm/ft finescale. Due to some infrastructure changes on the stage there were some slight changes to the stand positions in this area to that portrayed in the programme.